Mike Smith is turning over the helm of Australia and New Zealand Banking Group in strategic mid-ocean. The $55 billion lender’s departing boss spent eight years trying to beef up its operations in Asia, with mixed results. Yet a slowing economy and tightening regulation at home mean successor Shayne Elliott has little option but to keep the same course. Since arriving from HSBC in October 2007, Smith has been pushing his plan to turn ANZ into a “super-regional” bank with operations across Asia. Progress has been slow, however. Ownership restrictions in many countries limited ANZ to minority stakes. Talk of mergers with the likes of Standard Chartered never went beyond speculation. In Smith’s first full year in charge, the Asia-Pacific region outside ANZ’s home markets contributed 11 percent of the bank’s earnings. In the year to September 2014, it brought in just less than 15 percent of the total. Slower growth and rising bad debts in Asia have prompted investors to question the strategy. They should also be grateful Smith wasn’t more aggressive. Meanwhile, banking Down Under has been booming. The mining cycle and a real-estate frenzy have fuelled demand for credit and given Australian banks some of the best returns on equity and highest valuations in the world. In the six months to March, ANZ earned a 15 percent annualised ROE. Even after a recent selloff, its shares trade at around 1.5 times book value – a multiple many western banks can only dream of these days. It’s therefore not surprising that some shareholders want ANZ to retrench and concentrate on its domestic operations. That would be a mistake, though. Australia’s economy is slowing and regulators are increasingly worried about lending in frothy property markets. New capital rules will pressure returns and make mortgages less lucrative. These gloomy prospects may be speeding the generational shift: Smith is the third Australian bank CEO to announce his departure in little more than a year. Elliott, who spent more than 20 years at Citigroup and is ANZ’s current finance chief, says he plans to stick with his predecessor’s strategy. Nevertheless, the new CEO is likely to find growth and capital hard to come by – both at home and across the water in Asia. Australia and New Zealand Banking Group announced on Oct. 1 that chief executive Mike Smith is to step down at the end of the year. He will be replaced by Shayne Elliott, currently ANZ’s chief financial officer. Elliott said he was committed to seeking growth in Asia, continuing a strategy initiated by Smith when he took charge in October 2007. 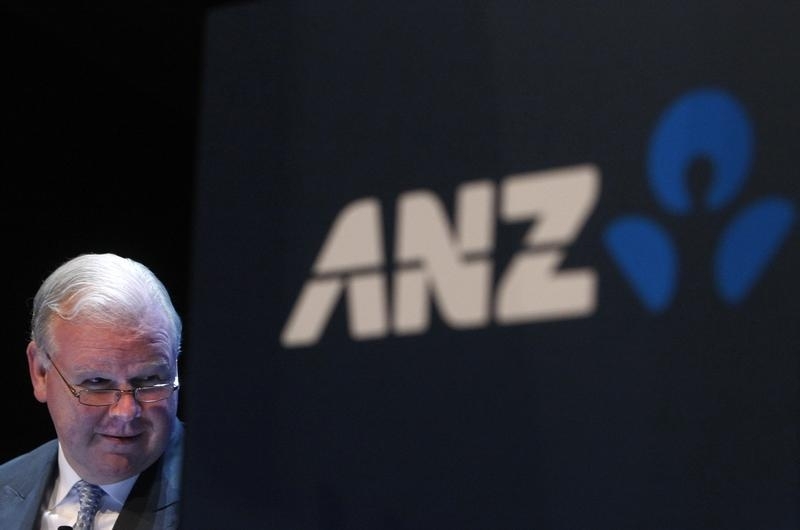 ANZ shares were up 1 percent in mid-morning trade, in line with the broader market. Elliott, 51, joined ANZ in 2009. Previously he worked for Citigroup for 20 years and was a senior executive at investment bank EFG Hermes. Smith will continue as a non-executive advisor to the board.